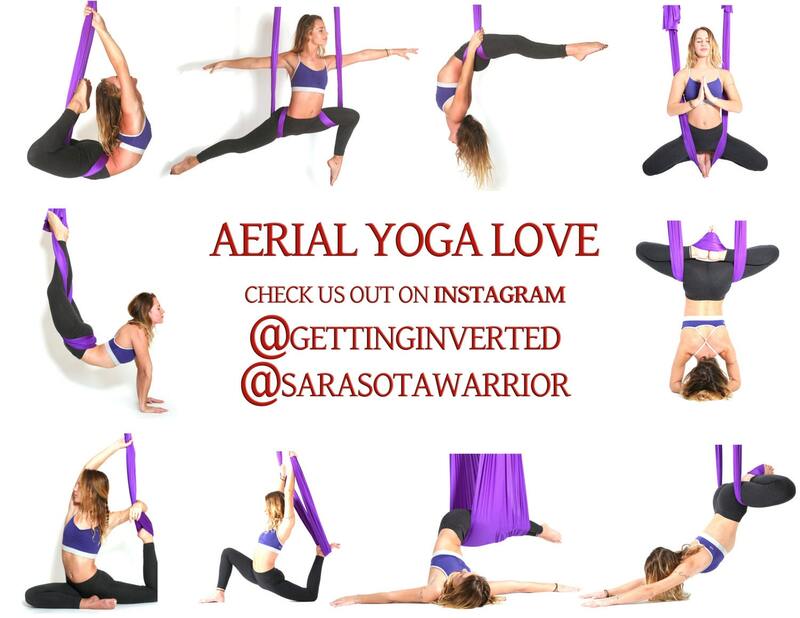 Meet my AERIAL YOGA HAMMOCKS! 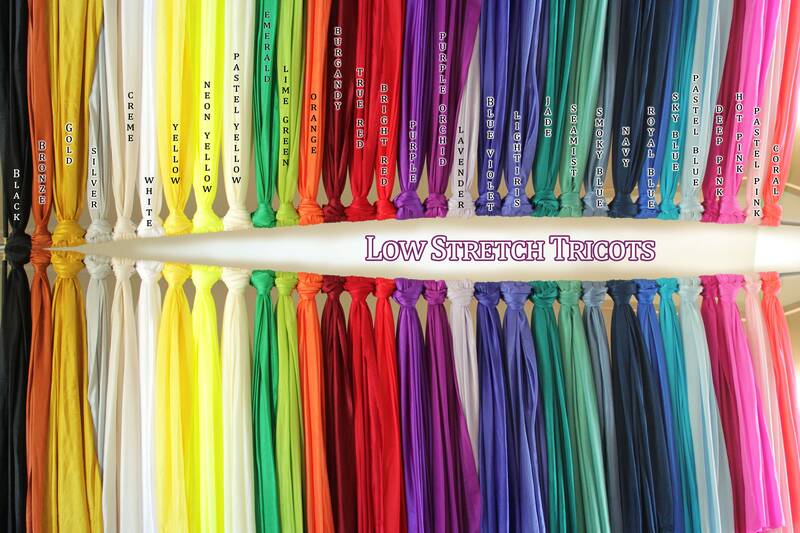 25+ colors of super soft 5.5yrd Nylon Tricot fabric pre-tied and centered! 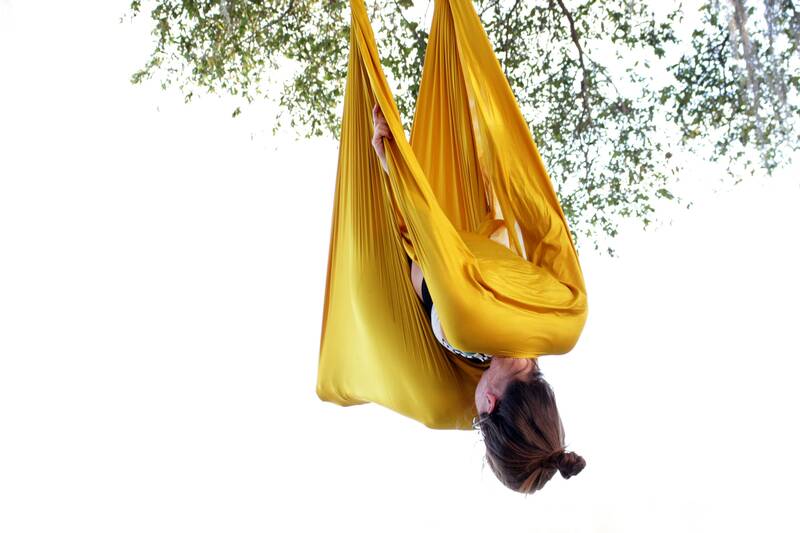 These hammocks are a single sling with two rigging points for Aerial/Anti-Gravity Yoga. 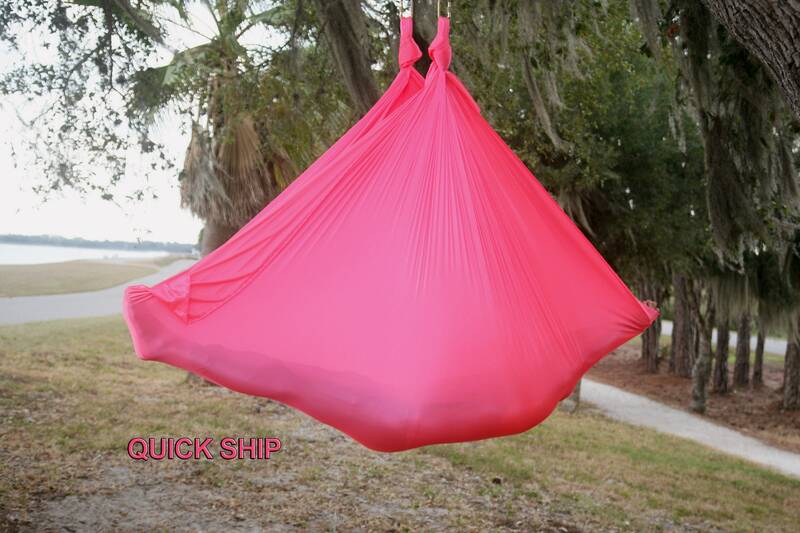 The fabric is perfect for napping, stretching, inverting, flipping and tricks! 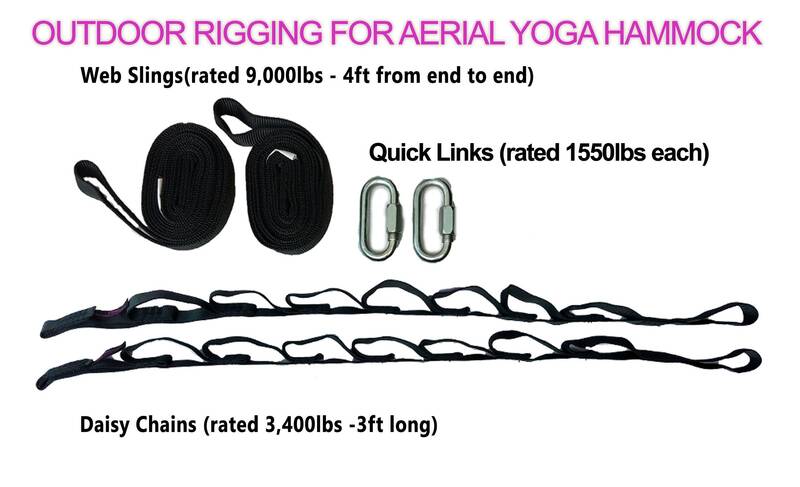 They are machine washable and provide the ideal stretch for aerial yoga, just enough give without being too stretchy! Instructions for washing, re-tying and hanging come with the package! 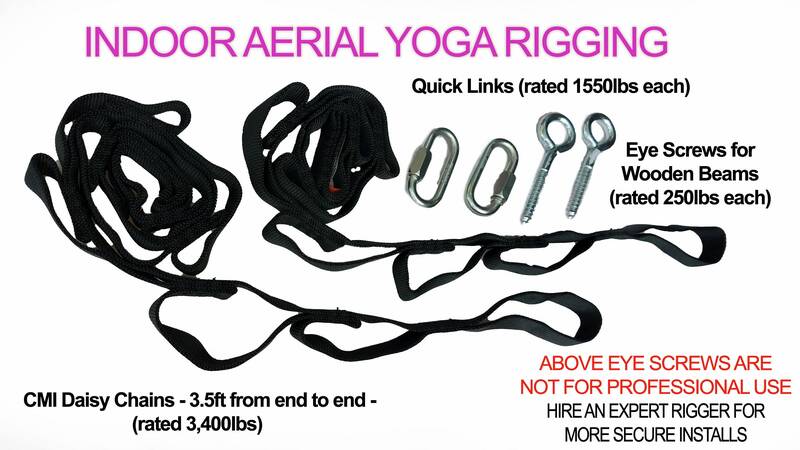 ***Safety is your responsibility and never guaranteed, hire an expert rigger if you are unsure of what to do! 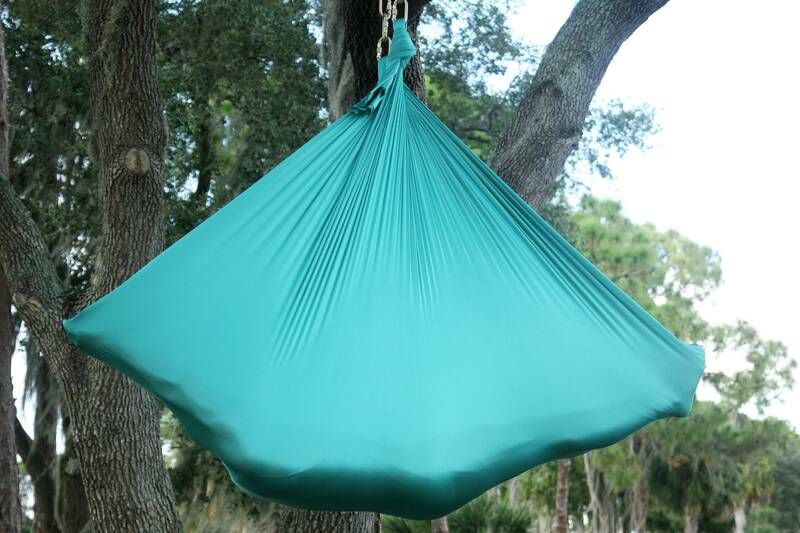 Communication was great, and hammock is just as described! The color is beautiful and we have yet to put it up, but are very excited to do so. Thank you! Lots of fun, loved by all. 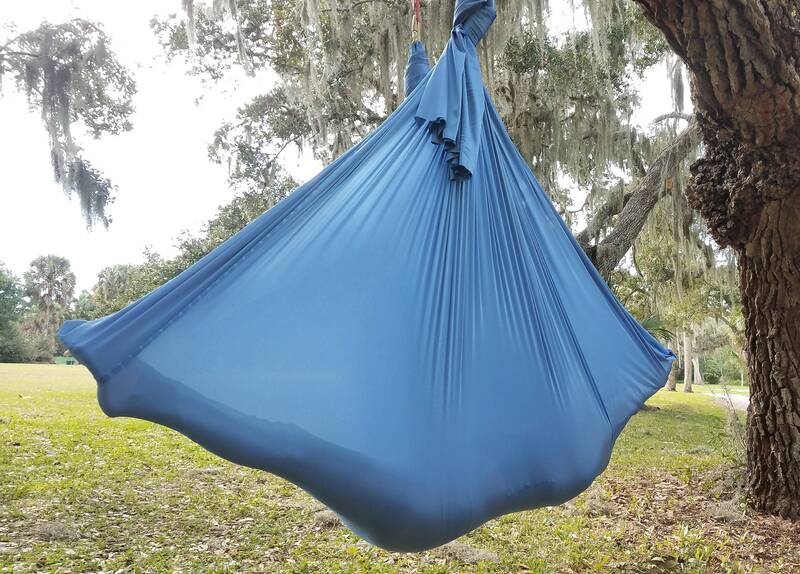 Couple of days ago I received my yoga hammock and it is brilliant!! We installed it yesterday with my husband and we played with it. To all beginners and advanced and enthusiasts please look no further for equipment! The fabric is soft, strong(stronger than what i was able to find in the market) and at an excellent price!!! The color is breath taking(royal blue). The customer service is amazing and Sam is more than helpful in answering any of your questions. Couldn't recommend it more!!! Sam thank you!!!!!!!!!!🌞❤️. I got the purple sling, everything was shipped on time and the fabric is beautiful. Thank you so much!